Police knew of a shooting range that had been installed on the property. The documents allege that 39-year-old Siraj Wahhaj was conducting weapons training at the property in Amalia, near the Colorado border. A foster parent of one of the 11 children allegedly stated to law enforcement that Wahhaj had "trained the child in the use of an assault rifle in preparation for future school shootings," according to a criminal complaint. Aleks Kostich of the Taos County Public Defender's Office said the allegations were not explained and the information came from the foster parent of a child removed from the compound, according to AP. The attorney doubts the credibility of the source and believes prosecutors feel the same way, Kostich told AP. 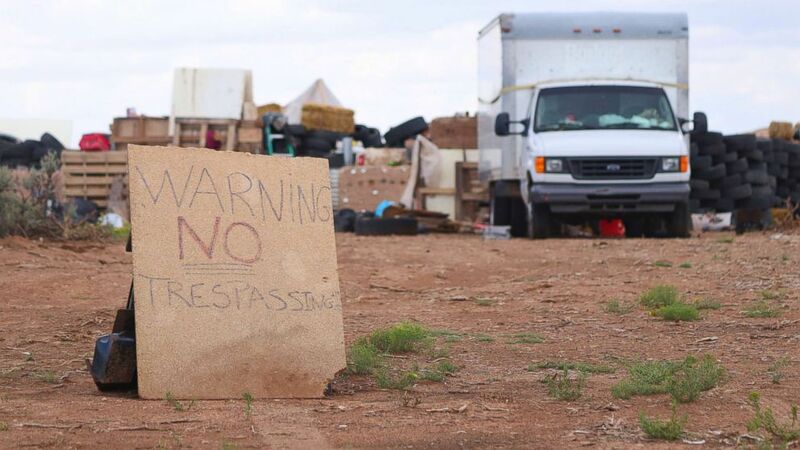 (Jesse Moya/Santa Fe New Mexican via AP) A "no trespassing" sign outside of the location where people camped near Amalia, N.M., Aug. 5, 2018. Three women believed to be the mothers of 11 children found hungry and living in a filthy makeshift compound have been arrested, following the weekend arrests of two men. 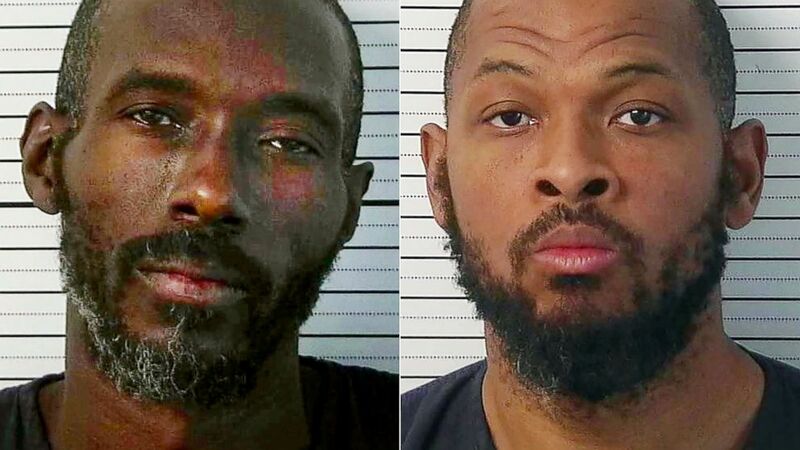 Wahhaj was heavily armed with an AR-15, semiautomatic rifle, five 30-round magazines and four handguns last week when sheriff's deputies executed a search warrant and swarmed the property to look for him and his young son, whom authorities believe was kidnapped by Wahhaj. Prosecutors filed the documents Wednesday and asked that Wahhaj be held without bail because he "has proven to be a danger to the community." "Should the defendant be released from custody, there is a substantial likelihood defendant may commit new crimes due to his planning and preparation for future school shootings," the criminal complaint read. Wahhaj did not enter a plea when he appeared in court Wednesday afternoon. A judge ruled that he be held until a no bond hearing takes place within the next five days. The 11 children, who "looked like third-world country refugees" and were wearing rags for clothes, were found on the compound last week, as were five adults, Hogrefe said. All five adults -- including Wahhaj, another adult male and three adult women -- have been arrested and charged with 11 counts of felony child abuse, Hogrefe said. Wahhaj was also charged with child abduction, while the other adult male, Lucas Morten, was charged with harboring a fugitive, Hogrefe said. The remains of a young boy were found on Monday on an "inner portion" of the compound, Hogrefe said. The remains have not yet been identified, and Wahhaj is under investigation in the death of the child. The three female adults would only provide names of themselves and the children, but would not give any information as to the whereabouts of the child, except to say that "he is not my son and I (we) am not allowed to talk about him," court documents alleged. (EPA/AP) From left: This Aug. 3, 2018, photo released by Taos County Sheriff's Office shows Lucas Morten.|A handout photo made available by Taos County Sheriff's Office shows the booking photo of Siraj Wahhaj issued on Aug. 05 2018. 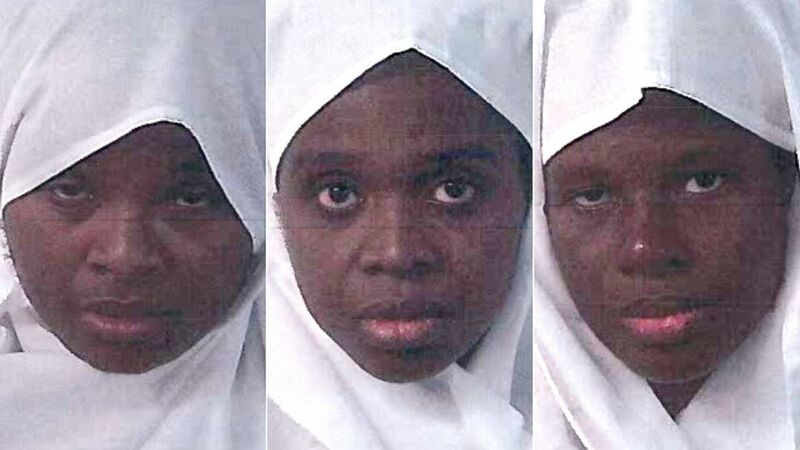 (Taos Adult Detention Center) Hujrah Wahhaj along with Jany Leveille and Subhannah Wahhaj were arrested without incident in Taos believed to be mothers of eleven children that were rescued from filthy living conditions. Wahhaj "intentionally or recklessly" placed a child "in a situation that may endanger life or health," according to the criminal complaint. 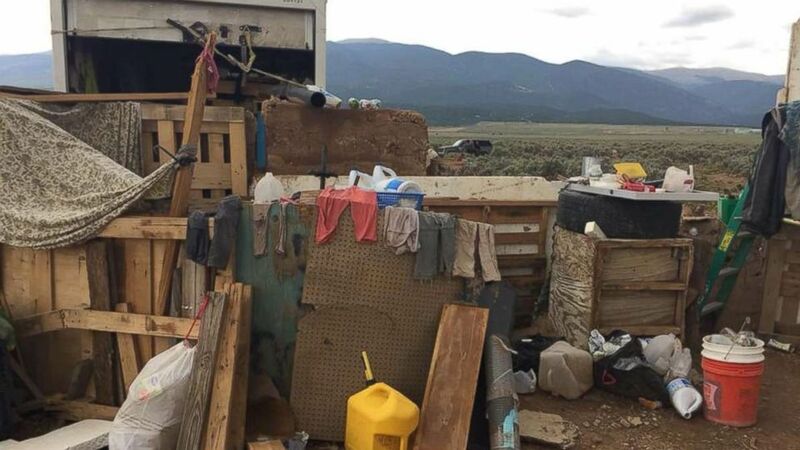 This environment allegedly included "no food, clean water, leaking propane gas, filthy conditions, hazardous wood and broken glass, no hygiene or medical care," the complaint states. "Trip hazards, wood with nails sticking up, broken glass, bottles, and open trenches littered the property," court documents said. The "makeshift property" is surrounded by tires and an earthen beam and lacks electricity and running water, Hogrefe said. Wahhaj was found to be "in control of the property," according to the complaint. The three adult women are believed to be the mothers of all 11 children, Hogrefe said. "These children were hungry, they were thirsty, they were filthy," Hogrefe said. They are now being cared for by the New Mexico Children, Youth & Families Department.